Effective immediately, the Teachers’ Retirement Board is taking the following corrective action with respect to the administration of the Voluntary Account. 4. These funds will be used solely for the purchase of the STRB’s annuity upon retirement on or before August 31, 2019. The STRB will continue to accept funds deducted from your salary by your employer on an after-tax basis into the Voluntary Account subject to limits under federal and state tax laws. Below is an email from CEA about HB 7110, AN ACT CONCERNING ENHANCED CLASSROOM SAFETY AND SCHOOL CLIMATE, that attempts to addresses the discipline problem prevalent in so many schools across our state. A more formal record keeping requirement of disruptive or injurious incidents. A requirement that superintendents report to the BOE the number of disruptive or injurious incidents in schools, by grade level. Protection for teachers from discrimination or retaliation for reporting such incidents. Require the State Department of Education to conduct a biennial survey seeking the confidential responses of school employees (including teachers) and, in a separate confidential survey, from parents about school climate. Bristol teachers are implored to share their stories of dangerous and disruptive classroom discipline situations by submitting testimony via the link at the bottom. Your voice can make a critical difference in making our classrooms safe places to learn and teach. Classroom safety and disruptive behavior from students are major problems in our schools but legislators aren’t aware of what’s happening in your classrooms. They need to hear your stories. The legislature’s Education Committee has just announced that it is holding a public hearing on Friday, February 22, on HB 7110 which would address this incredibly important issue. Full info on the bill is here. Click here to submit written testimony on teacher assault and get suggestions on what to include in your letter. With a new legislature, we need to educate our lawmakers on the issue again this year. We’re pushing back stronger than ever and asking you to stand up for safe schools. Even if you were one of the many who submitted your story last year, we need you to do it again. CEA and AFT CT are making it easy for you to submit written testimony to the legislature—no need to take time off and travel to the Capitol. Please take a few minutes to write a paragraph or two (or more if you have time) and in your own words and experience, discuss why classroom safety and disruptive behavior is a major problem that must be addressed. Submit your written testimony HERE. 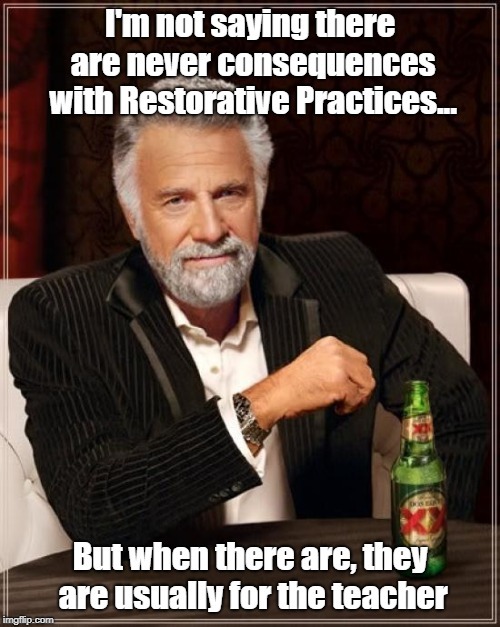 On Wednesday, February 20, the BOE’s Student Achievement Committee will meet in Room 36 of Central Office to discuss Restorative Practices, a discipline approach roundly rebuked by much of the staff at schools that have utilized it. Click here for an outstanding essay from a teacher who very succinctly explains why more students should be suspended, and how that will lead to less suspensions. In related news. a bill concerning classroom safety and school climate that is supported by CEA and AFT CT will be introduced soon in the Connecticut Legislature. The bill will be posted here when it becomes available. In a year when class sizes stretch to unacceptable numbers (nearing 30 in some elementary schools and surpassing that in some middle and high school classes), the BOE is set to finish the 2018-19 school year with a $1 million surplus in the budget for teacher salaries. The budget is holding steady. We continue to forecast that we will have approximately $1M in the teacher salaries line available for transfer, and can utilize these monies to mitigate the costs of special education services. Click here for a letter published in USA Today discussing the impact lower class sizes have. Had that money been used as intended, and not as a rainy day slush fund, it could have paid for approximately 14 full time educators. Additional teachers could have been hired to open extra sections where class size was unusually high. It could have been used to hire instructional support, or paid for much needed SPED teachers or social workers. The budget for the 2019-20 school year is being finalized and is expected to be voted upon at the March 6 BOE meeting. WHEN: Saturday, March 16 from 9:00 to 11:00AM. WHERE: Testa’s Banquet Facility, located at 26 South Center Street in Southington. WHEN: Saturday, March 16 from 12:30 to 2:30PM. WHERE: Margaritas Mexican Restaurant, located at 350 Roberts Street in East Hartford. Click here to send e-mail to sign up to attend — there is no cost for members, but RSVPs help us plan since breakfast and lunch are served. If you’d prefer one of the other five meetings taking place through April, we’ll be following-up with local area members closer to the dates they are scheduled. Click here for a flyer listing all seven meetings to share with with your colleagues. Regionalization In Connecticut: A Good or Bad Thing? This Saturday, February 2, AFT CT will host its annual Legislative Conference at the Legislative Office Building (LOB) next to the Capitol in Hartford. Here is the agenda. RSVP at the bottom. The greater the attendance of teachers, the greater the focus for education this session. Note: conference will be canceled in event of inclement weather – check back for any announcements to be posted here. Wear Red to Show Solidarity with LA Teachers! On Thursday, January 10, please where red to show solidarity with the LA teachers who are on the verge of going on strike. Their fight is the one we are all facing. Here is a recent Bristol Press article concerning the MBMS Arts Magnet, with some new developments. From the Courant, Hartford Federation of Teachers, in a unique and unfortunate situation due to Hartford’s poor finances, going to arbitration to fight “union busting” contract. From the L.A. Times, the latest on the strike that is about to occur, with more news here from CNN. And finally, it what should be required reading for all school administrators and education reformers, a recent Washington Post article about the Dunning-Kruger Effect, in which the least competent feel the most confident. Here is a great Washington Post piece about a survey done with principals, the results of which clashed with the narrative of the Central Office bureaucrats. This one explains the ever-increasing SPED costs and how they impact regular education. Coverage of Dr. Moreau announcing her retirement. Her successor will be named next week.